IRIS 2018, IIM Indore’s annual Management, Cultural and sports fest was held at the Institute from November 16-18, 2018. The three day long extravaganza encompassing multiple events, workshops, competitions and Pro-Night started with a grand inaugural ceremony. Mr C.S. 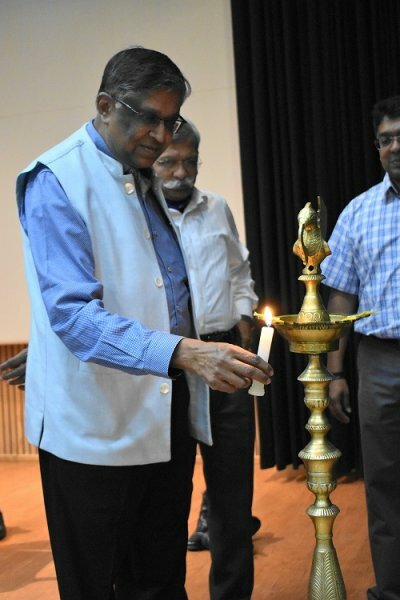 Vaidyanathan, an eminent senior advocate of the Supreme Court was the chief guest, who lit the lamp along with Professor D.L. Sundar, Professor Ranjeet Nambudiri and IRIS co-ordinator John Antony. Colonel Gururaj Pamidi (Retd. ), Chief Administrative Officer, IIM Indore welcomed everyone and wished IRIS great success. Mr Vaidyanathan spoke about importance of youth in nation building and their roles as leader of tomorrow. He advised students to be entrepreneurial, curious and ethical. He also talked about the role management can play in improving court case disposal, law and order and the environment. 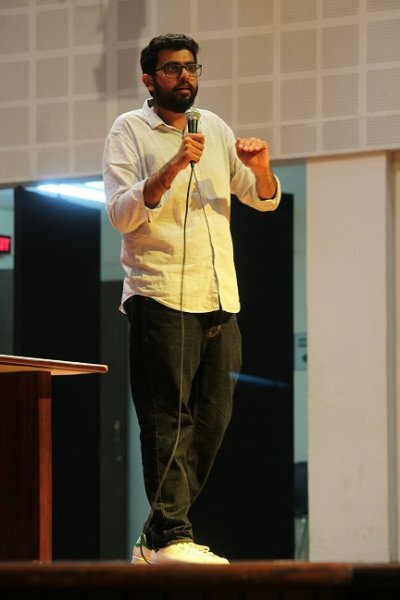 He shared several experiences from his life to illustrate the above points to the audience. He urged management professionals and students to apply their expertise to solving policy problems. This was followed by a Q&A session. Advaita, continuing its legacy of finding the sharp talent acquisition minds of the top B-schools, kick-started with teams putting up the hats of recruiters. It was a test of their patience, resilience and attitude in the face of best and worst candidate getting on the ‘HOT’ seat. The judges, Dr. Shweta Kushal, Faculty, IIM Indore, and Mr. KS Paveen, Founder and CEO of HumanTouch Consulting, Mumbai, also commended that the teams actually adopted the role rather than adapting to it. The teams belonging to SCMHRD, SRCC and SIESCOM showed their talent and skewed vision to identify talent. The fest also included spectacular cultural events like Lavanya- the fashion show which was adjudged by MTV Love School Contestant, Mr. Mohit Duseja and Miss India Runner-up, Naveli Deshmukh. Mr. Duseja advised the youth to never miss an opportunity to be a part of the reality shows as it is a great learning experience for an individual. Ms. Naveli said her style mantra was simple-be yourself, know your body type and dress accordingly. 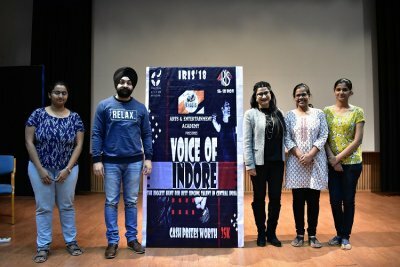 The singing event of IRIS- Voice of Indore, auditions for which have been on in full swing , conducted another round of auditions. Judges Mr. Narinder Pal Singh Khalsa and Ms. Richa Singh from Khalis Arts & Entertainment Academy, appreciated the participants. The Day 1 of IRIS IIM Indore ended with performances by Mr. Aakash Mehta- popular stand-up comedian and an enchanting magic show by Divyansh Apurwa. The flagship consulting event of IRIS, Chanakya, conducted its final round on the second day of the fest. The top 6 teams were selected on the basis of rigorous rounds of quizzing and case study. For the final event, the teams were invited to campus to present on open ended business cases in front of an esteemed panel of judges composed of Professor Sneha Thapliyal and Professor Sushant K Mishra. Presentations were judged on the grounds of creativity of the solution, the structure and the in-depth analysis of the case that the teams could bring to the table in limited time provided. The teams belonging to IIM Udaipur, IIM Nagpur, SIBM Pune and IIM Indore showed their consulting skills and brought with them a host of inventive ideas. The world famous photographer, Mr. Anshul Mehrotra also declared the winners of the photography contest on Day 2. The flagship dance event of IRIS- Lasya witnessed some of the best dance performers and the performances that blew away everyone’s mind. 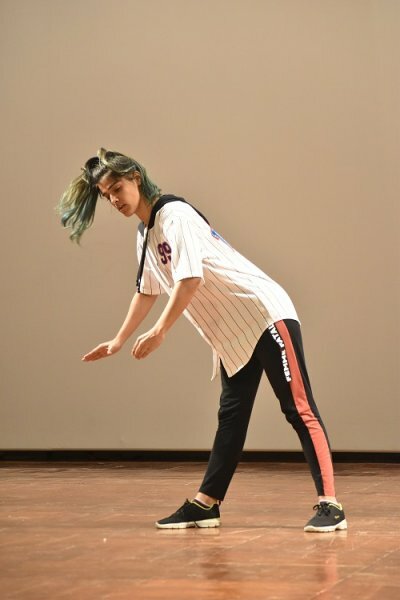 There weren’t only groups but solo and duets also who gave equal competition to the other participants. 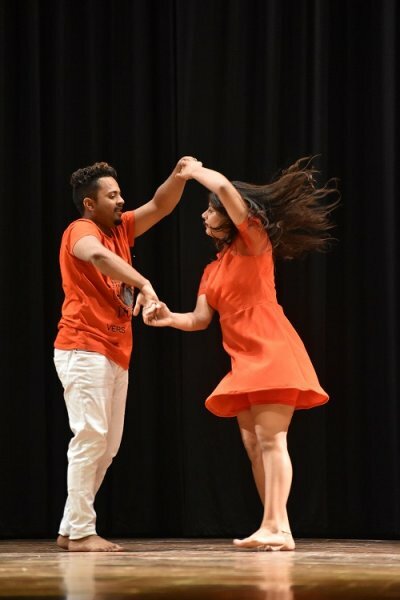 The event was judged by Rakshit Yadav, Maetsro of Classical, Folk and Bollywood Dance, honoured with National Nitya Pratibha and an active researcher on dance pedagogy along with Vicky Dubey, Founder Choreograoher of DXB crew, owner of the DXB Dance Studio and a YouTuber with over 80k subscribers. The leadership event Ashwamedha also came to a conclusion with its finale round- Spotlight. The event involved rigorous rounds of competition among over 30 participants from different management institutes from all over the country. The judges for the event were: Mr. Krishnan Ranganathan, Executive Director Nomura, Mr. Nagalingam, CEO National Steel, Prof Siddharth Rastogi, Placement Chair, Dr. Vijay Menon, Ashwamedha event convener, Mr. Rakesh Jain, Entrepreneur & Head of Indore Management Association. The judges grilled the participants during the Spotlight round and eventually chose the last contestant to withstand the gruelling rounds as the winner. 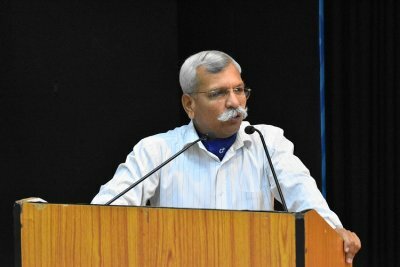 Mr. Diwakar Vaish, a robotics researcher and Head of Robotics and Research at A-SET Training and Research Institutes, also addressed the students during IRIS. 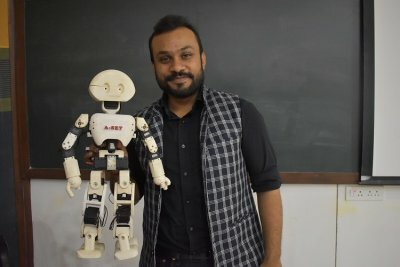 He is the developer of India’s first completely indigenous 3D printed humanoid robot (Manav), India’s first mind-controlled robot, and the world’s first production brain-controlled wheelchair. Diwakar is the co-creator alongside All India Institute of Medical Sciences, Delhi the world’s cheapest ventilator. Other events included Drona, the 3-day leadership event of IRIS, Chain reaction, the flagship operations management (judged by Professor Sanjay Choudhari and Professor Bhavin Shah who declared Abhilash, Arpit and Kushagra from IIM Indore as winners), the quizzing event of IRIS, Jigyasa, My campaign- the marketing event (judged by Mr. Nitesh Khargaonkar from Mahindra Sales team and Ms Shweta Jha who is a doctoral scholar at IIM Indore). The event concluded with the performance of the ultimate pro show of IRIS- performance by the popular band, The Local Train.